cliffs. In every season the scene below is spectacular. 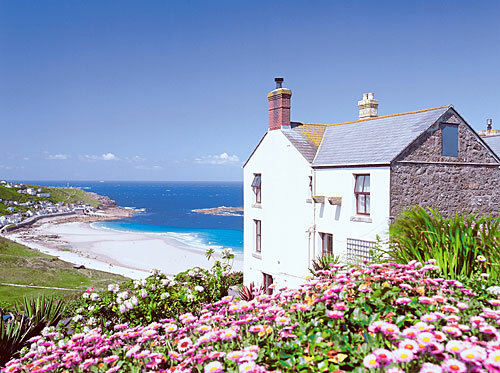 Carn Towan is a Victorian house converted into a row of four cottages. 21/2 acres of terraced gardens with shared barbecue and picnic tables.